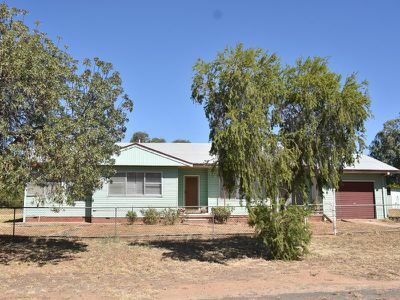 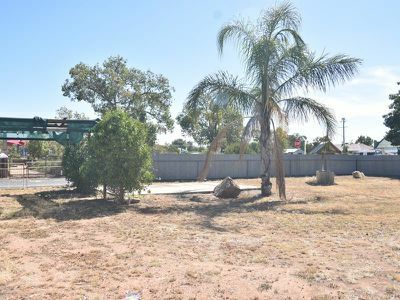 This 4 bedroom home is located in Barmedman. 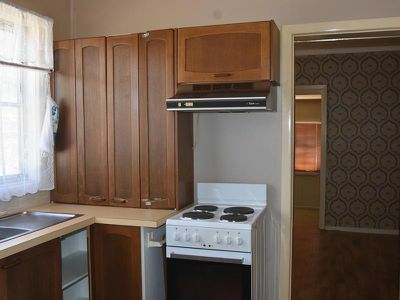 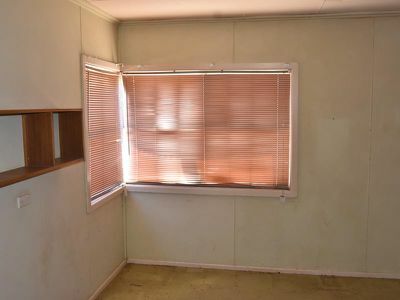 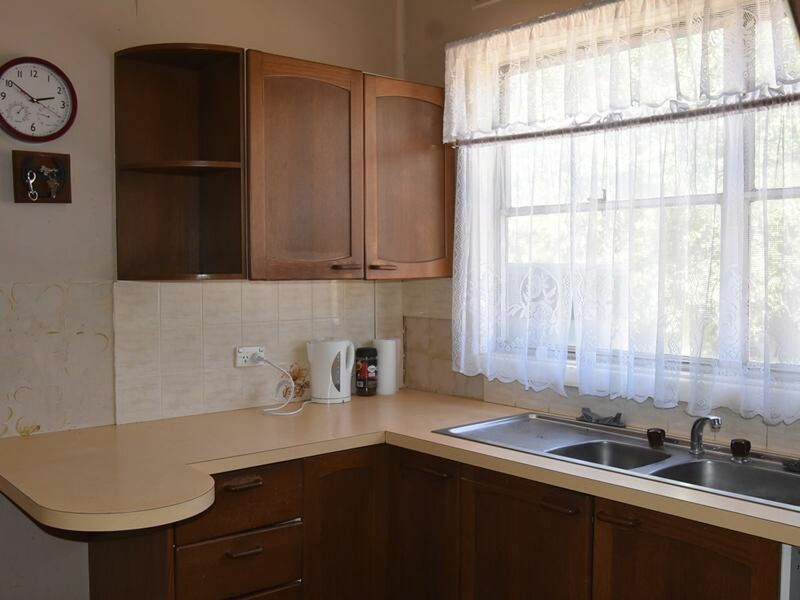 3 Bedrooms have built in wardrobes and 4th room is sunken off dining room. 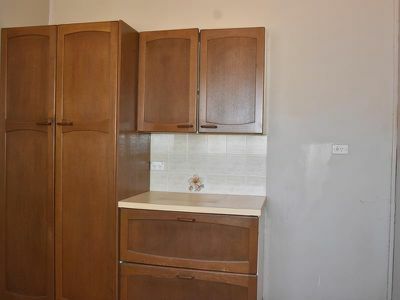 Kitchen is functional with plenty of cupboards. 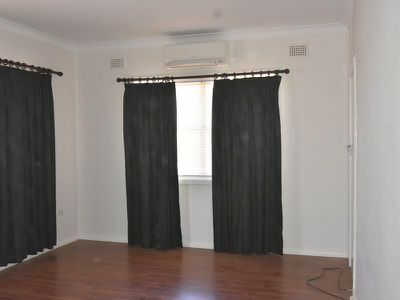 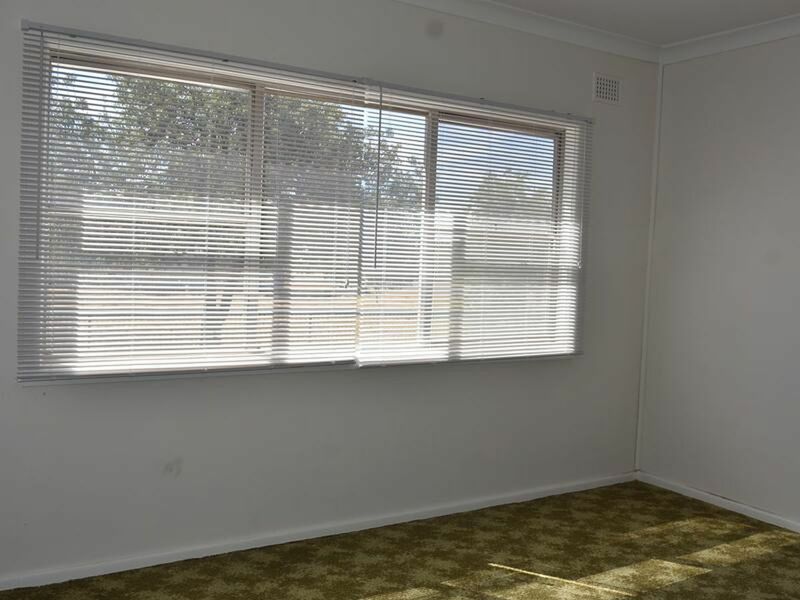 Lounge room is quite large and has doors that open to front veranda. 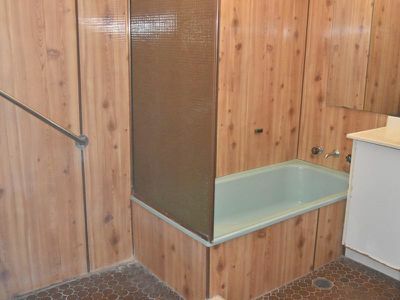 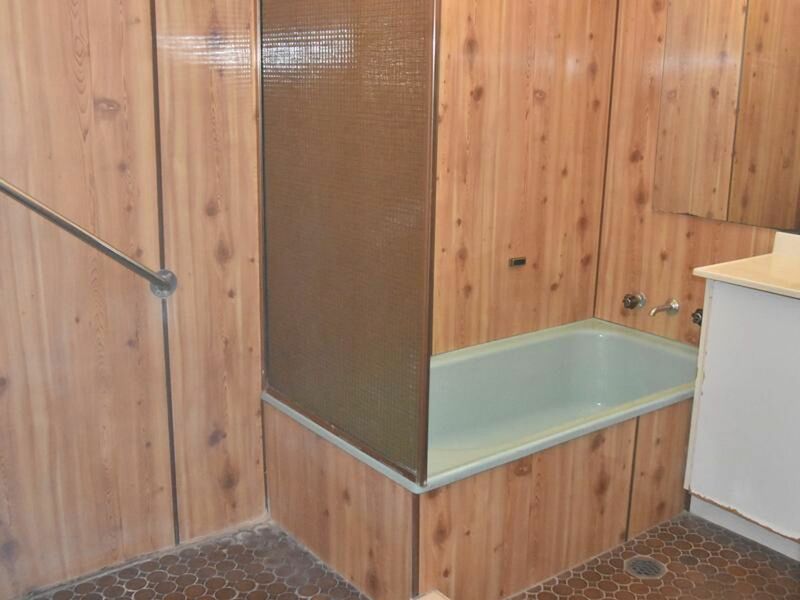 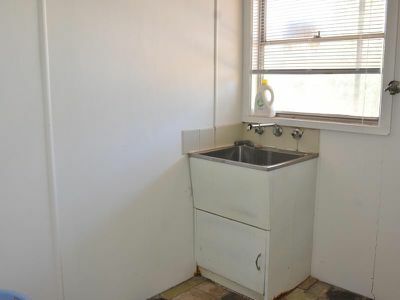 Bathroom offers bath and shower and toilet separate. 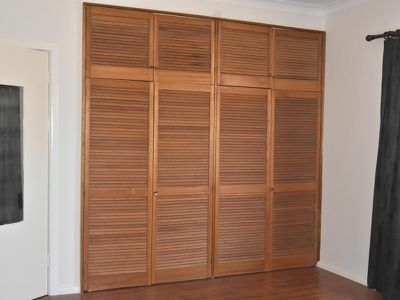 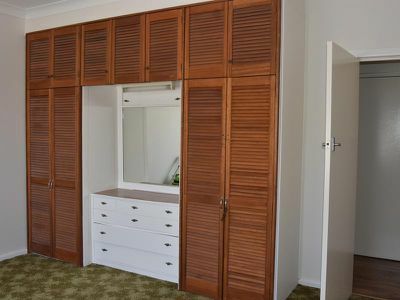 Storage is not an issue as there is lots of storage cupboards. 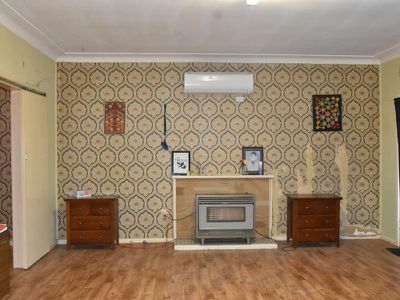 Split system and gas are your heating and cooling. 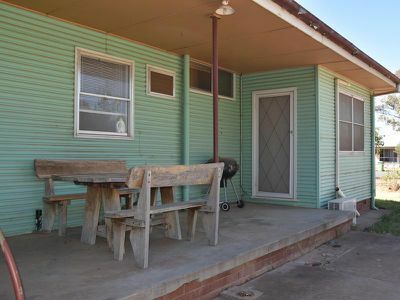 There is a back veranda that looks like a great space to have cuppa out of weather. 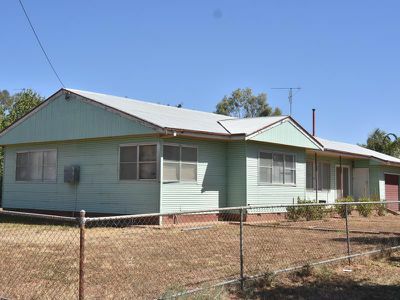 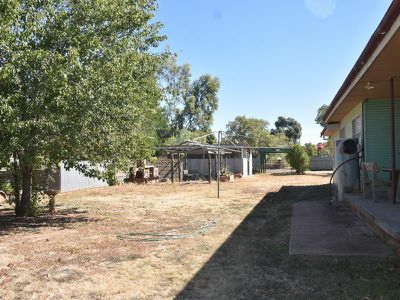 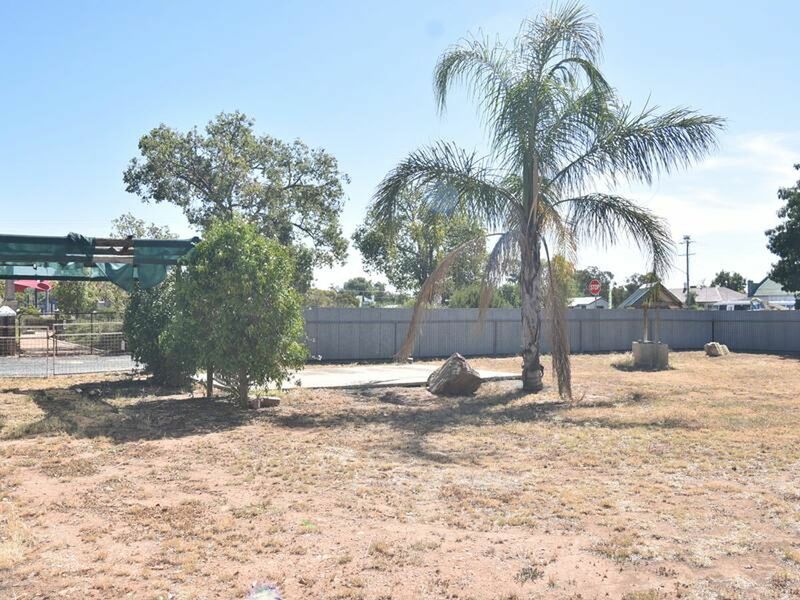 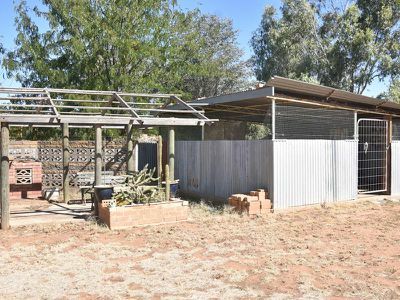 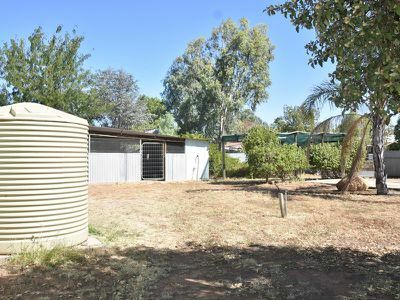 The yard is large and has water tank,BBQ area, wishing well, carport and lockable shed.